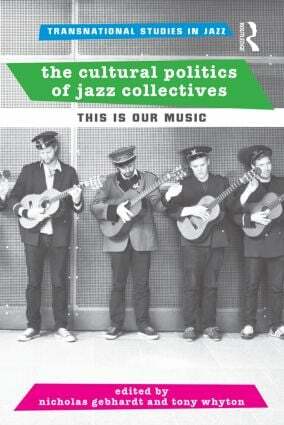 The Cultural Politics of Jazz Collectives: This Is Our Music documents the emergence of collective movements in jazz and improvised music. Jazz history is most often portrayed as a site for individual expression and revolves around the celebration of iconic figures, while the networks and collaborations that enable the music to maintain and sustain its cultural status are surprisingly under-investigated. This collection explores the history of musician-led collectives and the ways in which they offer a powerful counter-model for rethinking jazz practices in the post-war period. It includes studies of groups including the New York Musicians Organization, Sweden’s Ett minne för livet, Wonderbrass from South Wales, the contemporary Dutch jazz-hip hop scene, and Austria‘s JazzWerkstatt. With an international list of contributors and examples from Europe and the United States, these twelve essays and case studies examine issues of shared aesthetic vision, socioeconomic and political factors, local education, and cultural values among improvising musicians.